Prog rock sometimes takes itself a bit too seriously for my taste. 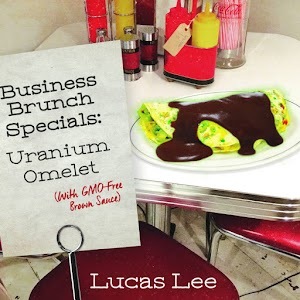 So the minute I saw the title of Prog Rocker Lucas Lee’s Business Brunch Specials: Uranium Omelet (with GMO-Free Brown Sauce) I was excited. And I was in no way disapointed. This album is awesome. The third track, “The Evil in Sales Weasels,” is another standout on the album. By starting out with slightly glitchy noise and then switching over to a more standard rock sound it summarizes the rest of the song very well. The first half of the track has this almost metal underlying groove with just little eccentricities and fun happening in the foreground. The second track switches it up a little bit but maintains the same feel. It’s an incredibly solid song. “Trust and Betrayal” is another stand out for me. However, I would not recommend listening to it if you just want to taste the album. 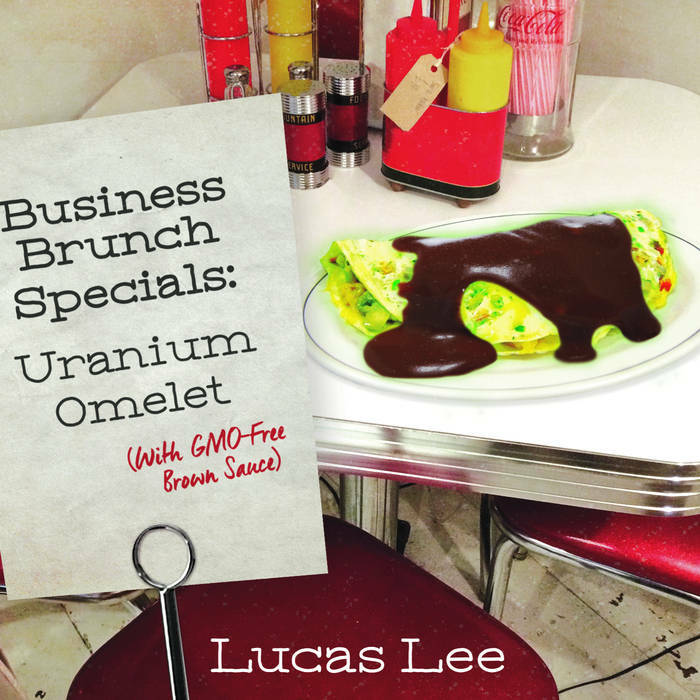 At nearly 8 minutes it might drive some newcomers away. Despite that I still love the track. It starts out slow and just builds and builds. I’ve always been fond of longer songs that have great builds. In a way it reminds me of The Feelies’ “The Boy With The Perpetual Nervousness,” not in sound but in feel. The way it starts off small and unassuming and then grows into this absolute beast of a track. But if you just want to dip your toe in the album, I recommend listening to the first three songs. See if you like it. If you do, definitely keep going. If anything it just gets better. For some, the album may grow a bit stale as it is almost all instrumental. Usually this is a big deal for me, because I am a big lyric guy myself. But the album plays around so much and has so much fun that it doesn’t ever feel boring. And overall that is the feel of the album: Prog rock with an experimental edge. And really that’s why I find it so charming. It isn’t merely impressively skilled instrumentation. It does indulge in impressive instrumentation but builds upon it to transform it from being merely another prog rock album. If you are a fan of progressive rock but have been fatigued by mindless noodling, pick this album up.